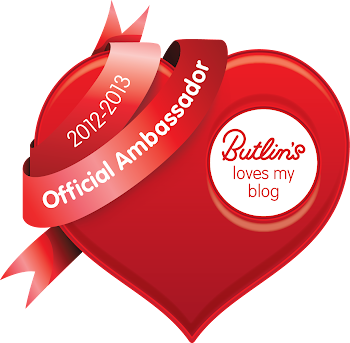 Sometimes lovely unexpected gifts come through the post. 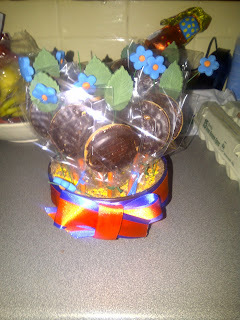 For Mother's Day the lovely people at McVities sent me this Jaffa Cake bouquet. Brilliant isn't it? Even better is that OH realised that night that the 'soil' was in fact chocolate. 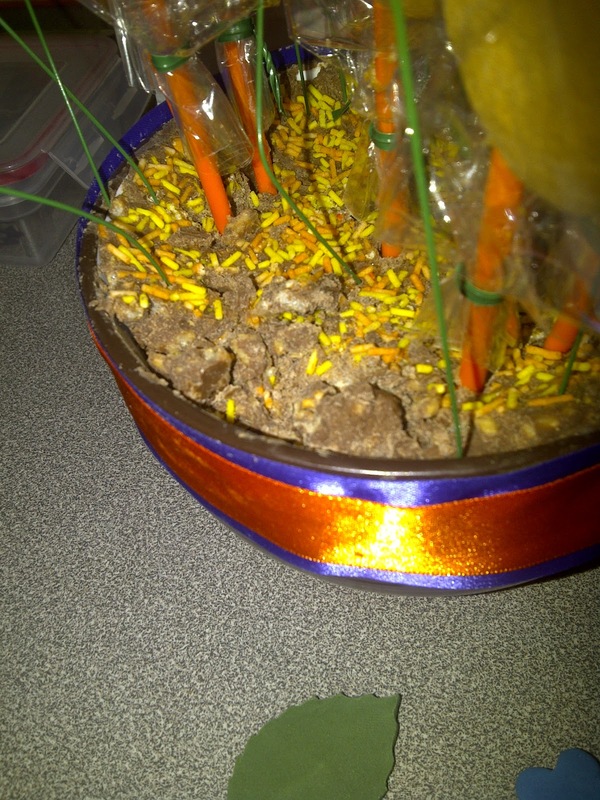 Chocolate orange rice pops to be exact. It was very nice, a big thank you to McVities who sent it. 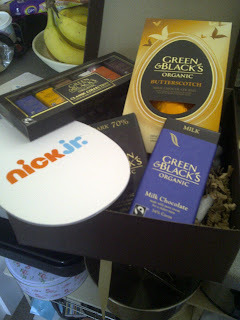 This week we also received a box of goodies from Nick Jr. Yummy Green & Blacks chocolate for mummy ;) (How did they know it was my favourite) and a preview DVD of some new shows. BG was every excited about the Dora Easter Adventure which is being shown tonight at 4.30pm on Nick Jr. If your children are a fan of Dora then they won't be disapointed. There was also a new Easter episode of Team Umi Zoomi which we are saving, this is being shown in April. The first thing we watched was Tickety Toc which starts on the 23rd April and she loved, we will give you a proper review soon! BG has taken the DVD to hers nana's so she can show her them. So a big thank you to Nick Jr.